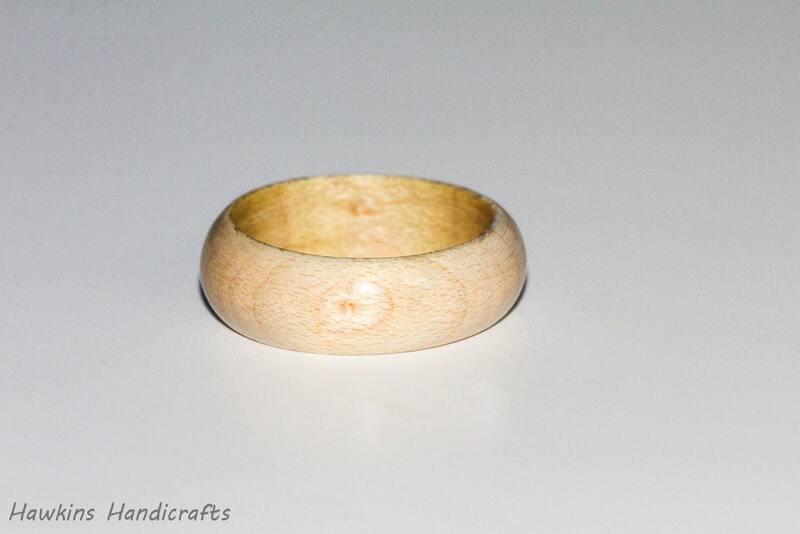 This is a hand-turned maple wood ring custom made to your specifications - choose the size, width, and shape from the options to create your own handmade ring! 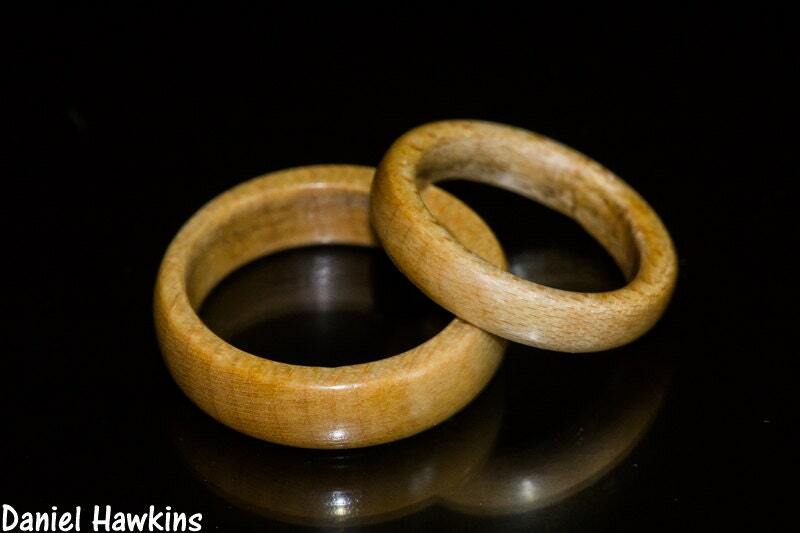 Your ring will have a similar look to those in the pictures - but each ring is a unique piece of wood with it's own unique patterning with no two exactly alike! 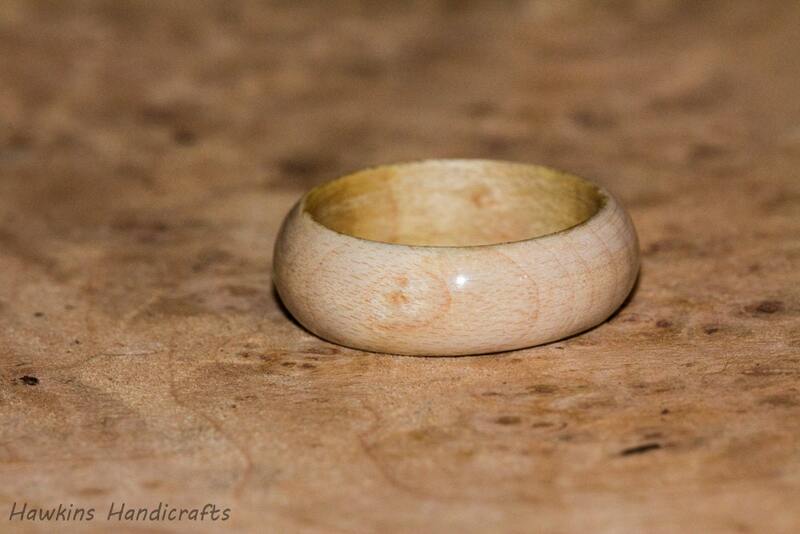 Maple is one of the most common woods used in woodworking, but it is still a beautiful wood, with interesting grain patterns and a lovely eggshell color. Beautifully made. 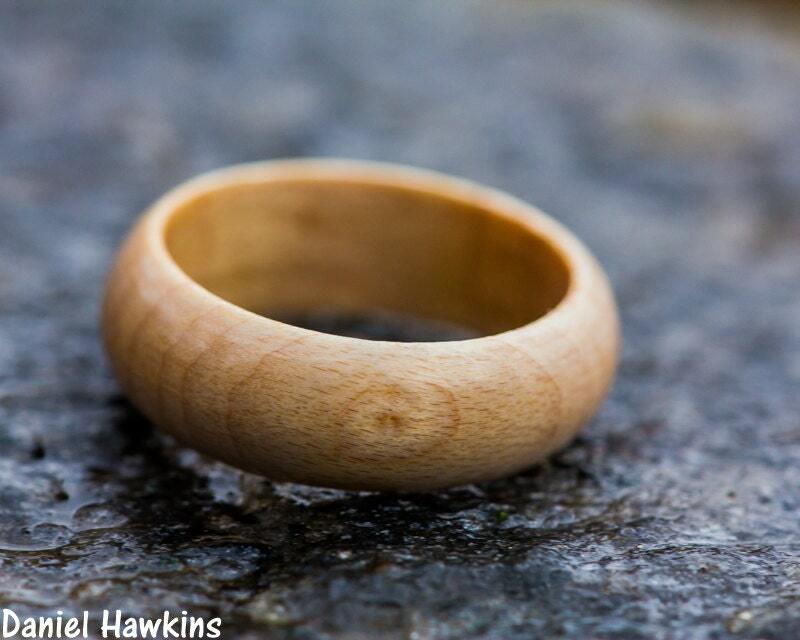 Highly recommend to anyone who is looking for a unique handmade gift. Had to return for a different size and they were so nice about it. Shipped fast. 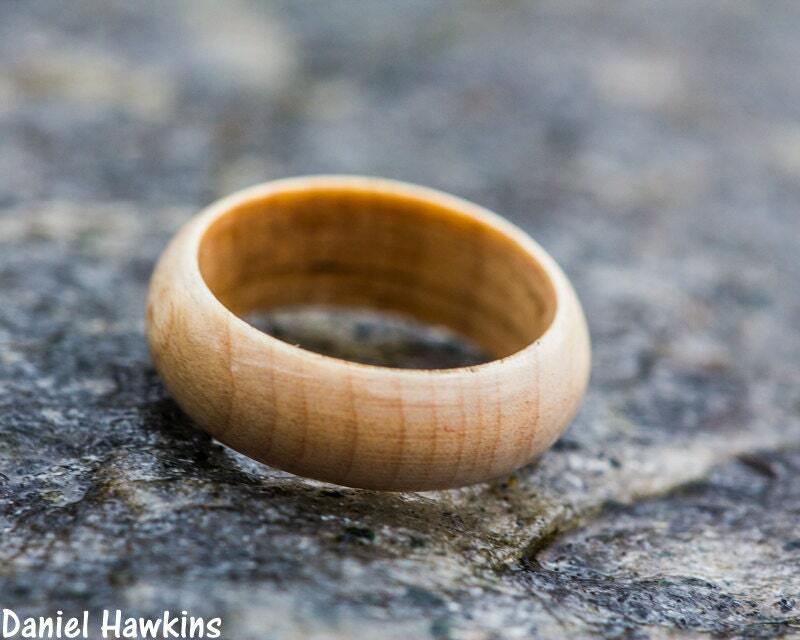 Absolutely love this ring!